As the founder and operating principal of UDC, Shane oversees all aspects of the business and is responsible for the strategic planning and growth of the company. 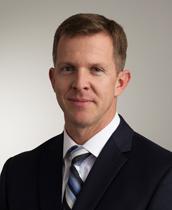 After receiving a bachelor of science degree in engineering from the University of Tennessee as well as a general contracting license in residential, commercial, and industrial applications in the state of Tennessee, Shane went on to begin developing multifamily projects in 1999 while simultaneously holding design and sales positions with sister company Universal Tool & Engineering (UTE). Shane has served as a board member and as an executive board member of both the Johnson City Area Home Builder's Association (JCAHBA) and the Tri-Cities Apartment Association (TCAA) and is actively involved in the community. Shane and his family reside in Jonesborough, Tennessee.